The Southern Sun is somewhat of a hidden gem. 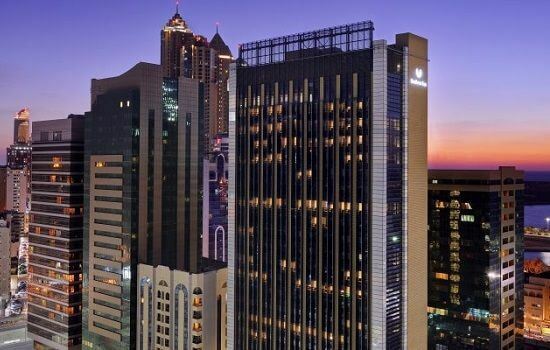 True, it’s not a household name like some of the other chains but this hotel boasts 353 beautifully appointed rooms in the heart of Abu Dhabi’s business, shopping and entertainment district. Transfer time to Yas Marina Circuit takes 30 minutes. 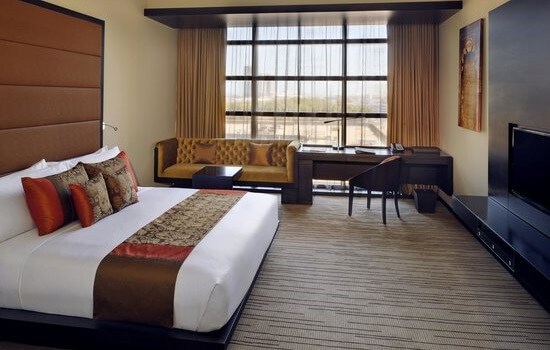 The Southern Sun is an excellent choice for those who are looking for a luxury hotel without breaking the bank. The hotel offers a choice of six bars and restaurants with a wide range of dining options. 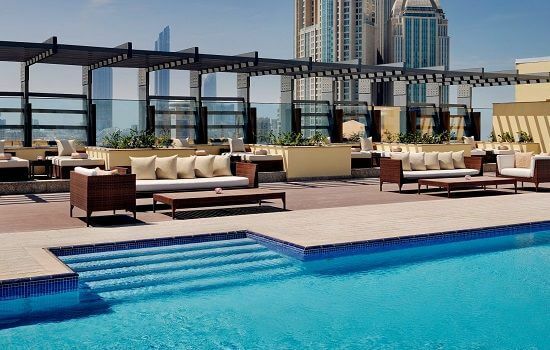 Our favourite is The Balcon Lounge & Terrace which is an elegant outdoor lounge area surrounding the pool with an adjacent indoor bar. This is a perfect sundowner location. Sample light bites, mezzes and refreshments at one of the outdoor tables before moving inside to enjoy a cocktail or two.